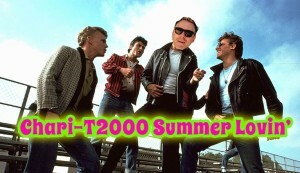 Play the Chari-T2000 Summer Lovin’ Game! Hey T2K Divisions- Show Chari-T2000 the love by contributing to the Summer Lovin’ campaign. You could win gift cards, a shiny new iPad and most importantly improve the lives of the kids we serve. Chari-T2000’s mission is to assist Texas children (birth–21) with developmental and medical needs obtain the services and equipment they need to make progress and reach their full potential. 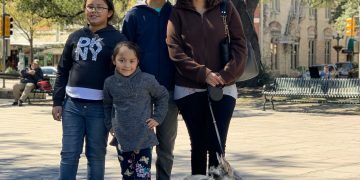 For many families with children receiving rehabilitative services, obtaining necessary medical services or equipment is extremely difficult. There are often insurance limitations that make funding these important items challenging. Chari-T2000 was created to bridge the gap when it is not financially feasible for families to provide these tools and no other funding source is available. Established in 2010, Chari-T2000 was created by North Texas agencies that serve children with disabilities to give back to the families they service. Learn more about this amazing charity here. The goal is to raise our yearly contributions from $60,000 to $70,000! This will help improve more lives of THERAPY 2000 kids in need of therapy services and equipment. The Love-A-Thon will kick off , Friday, August 9th and will end Friday, August 30th! Download the contribution here. THERAPY 2000’s 7 Divisions will compete against each other with the largest % raise in contributions each week winning for that week. Using % of division increases instead of increases in total dollar amounts levels the playing field, so division size does not factor into your division’s chances of winning each week! Print and fill out attached donation form and give to Becky Burgess to play. At the end of each week Rizzo will update the love-o-meter. Love points are given for every employee who increases their current paycheck deduction by $2 or more and for any new members added to your team (employees who become givers to Chari-T2000 by payroll deduction). Print and fill out attached donation form to play. Win Gift Cards Each Week! Contributing employees in the Division that wins % increased each week can be entered to win a gift card. Each employee who already contributes, joins as a new paycheck contributor, and every employee who increases their paycheck contribution by $2 per paycheck is entered into a drawing for a $50 gift card to be won at the end of each week. There will be 3 winners, one each Friday of the Love-a-Thon. Gift card winners will be drawn each Friday. On August 30th anyone that raised their contribution by $2 or more or began contributing to Chari-T2000 through payroll deduction is entered to win an IPAD.